It was decades ago when Sinatra first crooned, “love is lovelier, the second time around.” I could have sung the same tune in Stockholm recently. 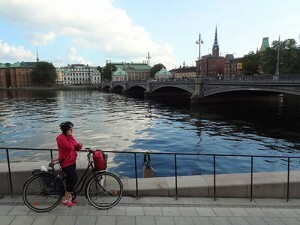 I hadn’t visited Stockholm in decades but during a recent, and too-short, three-day visit I fell in love with it. Again. What’s not to love? It’s an exceptionally charming city with great food, shopping, culture and sightseeing, where just about everyone speaks English. And that “expensive” thing – while prices are higher than they are in destinations in southern Europe, it doesn’t have to be a budget-buster if you just plan accordingly. I started to swoon when I walked across the bridge to Gamla Stan, the Old City, which is one of the best-preserved medieval places in Europe as well as one of the largest. It’s a fantastic area, one of the great treasures of Sweden. It’s also home of the Royal Palace ­– with 608 rooms, three more than Buckingham, the largest in Europe – although the Royal family no longer lives here but in Drottningholm Palace about seven miles outside of town. Still though, the changing of its guard continues to be one of Stockholm’s most popular attractions. After viewing the palace one afternoon I continued along the cobblestone streets delving deeper into the Old City, in my quest to find the Nobel Museum. After a few minutes I found it on Stortorget, the picturesque old square, housed in the old Stockholm Stock Exchange. It was a fascinating place to visit. 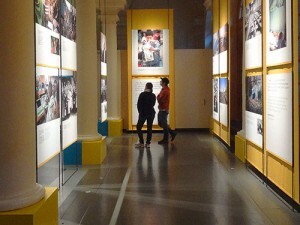 In addition to displays of recipients of the Nobel Prize over the years, it also had other wide-ranging exhibits on such things as the five colors of peace and the origin of the peace symbol itself (actually the logo of the Campaign for Nuclear Disarmament). In the museum’s shop I found whimsical “sticks of dynamite,” paper wrapped around licorice sticks, alluding to Nobel’s invention of dynamite. 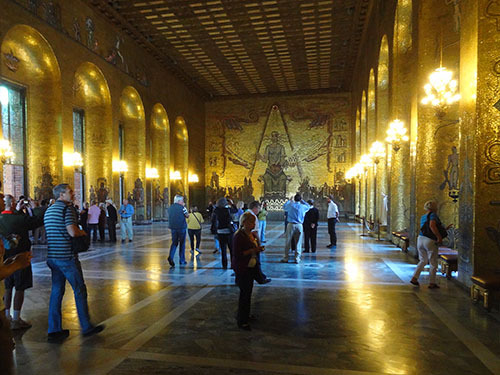 The following morning my Nobel-mania brought me to Stockholm’s City Hall to see where the grand Nobel banquet is held every year following the awarding of Nobel prizes. It’s a huge building on the harbor and after I arrived I wandered about the courtyard and building exterior waiting for the start of the tour. When you leave City Hall you can wander along the shoreline or, as I did, take one of the old the riverboats out to Drottningholm Palace, a leisurely 45-minute trip. The next morning I decided to set off for other museums. One of them was the incredible Vasa Museum on the island of Djurgården, home of the only almost fully intact 17th-century ship ever salvaged (see Stockholm’s Extraordinary Vasa Museum). 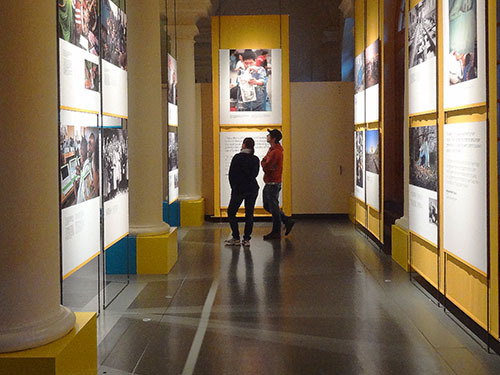 There’s no other museum like this anywhere else in the entire world. 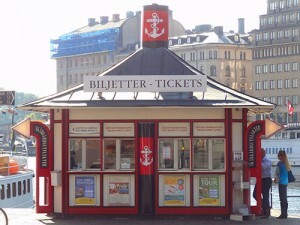 You’ll find it on the harbor shore, almost hidden behind the Nordic Museum, reached via tram #7. After leaving the Vasa I continued on the tram to Skansen, Stockholm’s fascinating open-air museum and zoo. 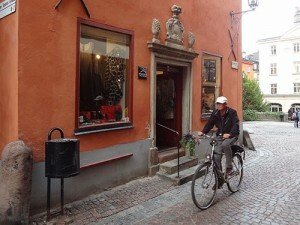 It’s a great place to take a unique peek into Old World Sweden. 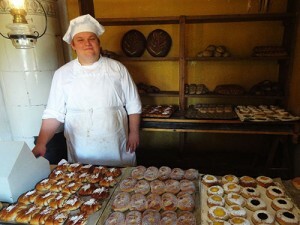 Filled with old historic buildings brought there from all over Sweden, Skansen can fill a good half-day of walking about. I was amazed at how meticulously everything was brought together…the cobblestone streets, a wagon on the side filled with barrels and luggage, little shops with people in costume so willing to talk with you. I dropped into a delicious-smelling bakery and chatted with the rotund baker who showed me the things they’d been making. Ten minutes later I was walking down a cobblestone lane watching geese cross into a garden up ahead. It was a fascinating afternoon. 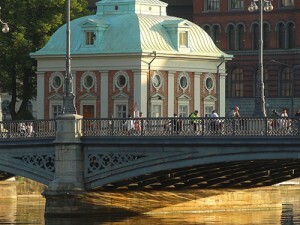 One of my favorite places to visit was Skeppsholmen, the small island between Djurgården and Gamla Stan. No tram runs through here and you reach the island by walking across Skepps-holmsbron, a bridge adorned with a large gilded crown midway, which people rub for good luck. The bridge is quite popular, both because it’s the link between the National Museum on the city side and the Museum of Modern Art on the island, and also because it provides a superb view of Gamla Stan and the harbor. Go see it in the evening as the sun sets over the Old City. Another place to see is the Östermalm Food Hall, a great Old World food hall set inside a beautiful old medieval brick building (see Five Fantastic European Food Halls for Splurging). Inside are butchers, fishmongers, delis and cafes, as well as several restaurants and plenty of purveyors of gourmet products. It’s a delicious, colorful place (some good free samples, as well) and while you’ll find some foodstuffs there from Italy, Spain and Beirut, for the most part it’s Swedish. The place was quite crowded even at 3 o’clock in the afternoon when I went. It’s a fantastic place to eat and where you’re assured of getting your food from as close to the source you possibly can. Before I left I stopped in a little café for a cup of coffee and a slice of delicious lemon meringue pie for SEK 67 (about $10). 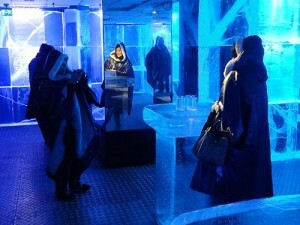 In the evening I visited the popular Ice Bar in the Nordic Sea Hotel near the train station. The place is exactly what the name implies: a bar totally made of ice with the exception of the floor and ceiling, where the temperature is kept at a constant -5˚C/23˚F. Even the glasses from which you drink are made of ice. The cost of entry is SEK 190 per person (about $29), which entitles you to one drink plus a parka and gloves (both are rentals and only for use in the bar). It’s a crazy thing to do, but fun and very popular, and good fodder for chitchat back home. 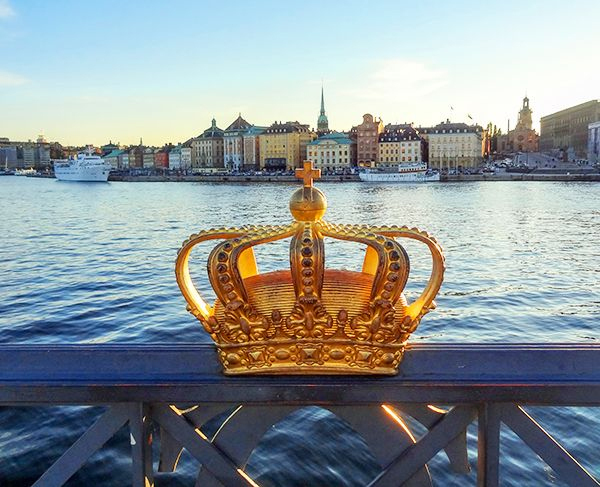 There are plenty of ways to keep costs down when visiting Stockholm including staying in a less-costly hotel and choosing restaurants judiciously (be aware that alcohol is expensive). 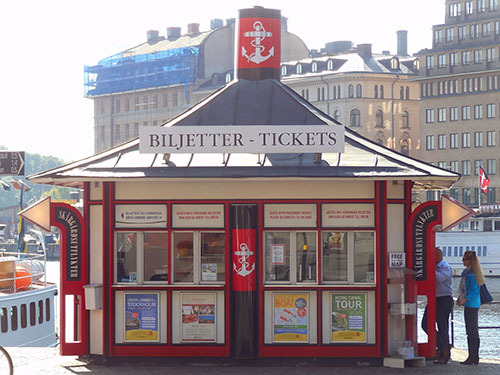 One of the best ways, however, is to purchase The Stockholm Card, which provides free public transport all over the city, admission to more than 80 museums and other attractions and some free sightseeing tours. While it may appear costly at first – SEK 495 (about $75) for one day, SEK 795 (about $120) for three – it’s a real money-saver. I used mine to travel all over the city and visit many museums. Sweden does not regulate taxis and prices vary greatly. All approved taxis have a yellow label on the rear door window that provides the cost of a 10 km, 15-minute journey. They usually vary between SEK 290 – 520. It’s the responsibility of the customer to check the price before entering the cab. Note also that you don’t have to take the first taxi in a queue; you can select any that you want, and always ask for a receipt. If you’re traveling between the city and the airport, the Arlanda Express, a 20-minute express-train ride, is the fastest means of travel. It can, however, be expensive; SEK 260 one-way / SEK 490 round trip (approximately $43/$74) or SEK 130 one-way (about $20) each way for those 65+. You can also take a 40-minute commuter train from the airport to Stockholm for a surcharge of SEK 75 (about $11) if you have The Stockholm Card. Otherwise the fare is SEK 125 (about $19). There is also an airport bus (Flygbussarna) which costs SEK 119 (about $18) one-way, SEK 215 (about $33) round trip. If you’re traveling by train elsewhere in Sweden or Europe you’ll find Stockholm’s Central Station only a few blocks away from the Arlanda Express. Sure would like to visit there some day! Thanks for reminding me there are thousands of places I’ve yet to visit! I love Stockholm Donna. I think you’d really enjoy it. I think I would, too! There are many rewarding aspects of reading NeverStopTraveling and the one that “rewards” me so much is the ins piration to travel more, to enrich myself through adventures to new destinations and familiar destinations. Some places, such as London and Paris, take a multitude of trips before one gets to “know” them at all.